To refresh your style, redefine with damp fingers. 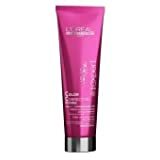 Do you need the ultimate in style hold when it comes to your hair. 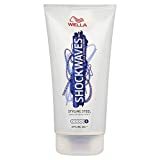 Wella Shockwaves Styling Steel gel has a freeze hold effect to hold even the most ambitious, gravity defying styles. Need to refresh your style. Then just redefine with damp fingers. Shockwaves allows you to rock your own style, which everyone knows is key if youre out for a big night. Shockwaves hair styling range will help you adapt to any situation from the pub, to the gig, to the dance floor. Style. Attract. Play. a blend of extracts that promote healing and healthy, balanced skin. Non-foaming formula for normal to fine beard types. One of the main causes of nicks while shaving is the air pockets that often form between the razor and the face. Heavy foaming lathers can actually encourage such pockets to form. 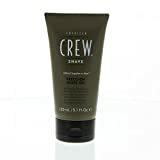 American Crew’s modern, non-lathering formula is an easy, light application and rinses clean from any razor. This product gives all glide, no drag. A pleasant tingling sensation lets you know this product is working as it leaves skin cool and refreshed. Correcting and perfecting anti-yellowing cream for light blonde to platinum blonde. Extra Gloss Styling Wax With Immense Texture Plus Reworkable.